“I was completely blown away when I saw a neighbouring farmer using a Sumo machine,” says farmer Richard Wainwright. “We were so impressed we bought our own Sumo Trio back in 2007, and feel that it’s revolutionised cultivations for us at across our 1200 acres of arable ground. In fact, no other machine comes close. It’s set an incredibly high benchmark against which we will measure any other machinery that we consider using. “Not only was it so strongly made, it could also be pulled with ”just” a 185hp tractor as opposed to a usual 300hp plus, needed for min till. This makes it more versatile, and enables it to be used on smaller sized farms too, where there isn’t always access to the biggest tractors” says Richard. With 1200 acres of combinable crops, and with soils ranging from silty loams to heavy clays – often within the same field – creating the ideal seedbed is a critical requirement at Birch Farm. The Trio has enormous flexibility, allowing both primary and secondary cultivations to be carried out with the one machine. “Its flexibility also meant that our labour was better utilised. We could have one man drilling OSR while another could be combining wheat, leading straw, or spreading FYM. We also have a beef and lamb enterprise on the farm, so it can get very hectic at certain times of the year. 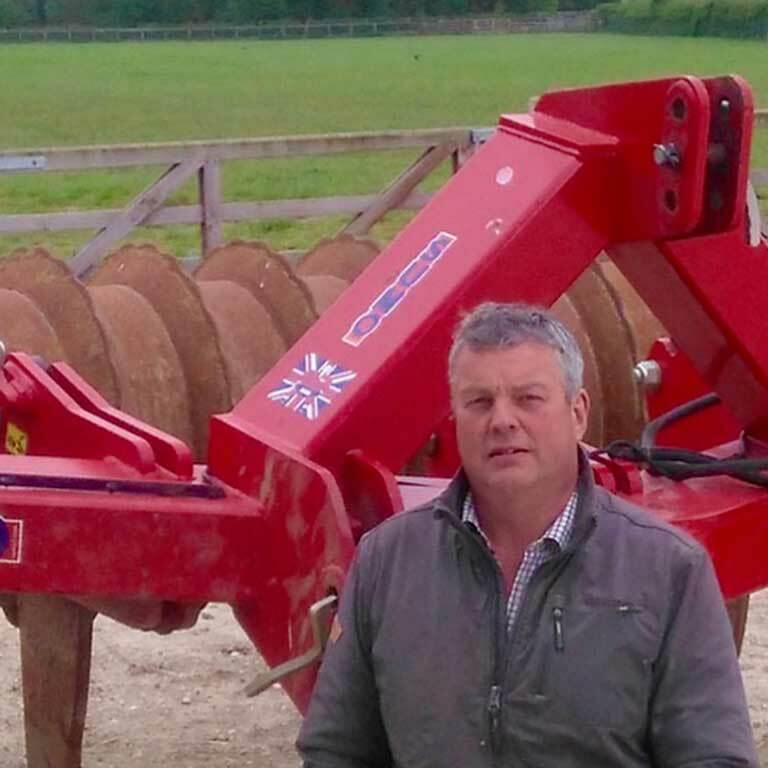 “The Trio has produced a very even and reliable establishment with healthier OSR plants and massive root structures, resulting in consistent yields which reached 6 tonnes a hectare last year,” says Richard, whose next step is to use the Sumo Trio/Seeder combination to establish stubble turnips or other cover crop for the lamb finishing unit. “Another benefit of the Trio is that it’s also an exceptionally easy to use machine. Using genuine Sumo parts, we find changing parts is simple, and they always fit first time around. They also last so well, and are reasonably priced. There is no reason not to use genuine Sumo parts. “The constant development of wearing parts is also really good to see. Tungsten wear plates, for example, are a great development. “Ultimately machines have to excel in the field. This is the Sumo Trio’s ace card!